1. Take one serving of the Weird Twitter gold that is @dril‘s constant stream of hilarious tweets. 2. 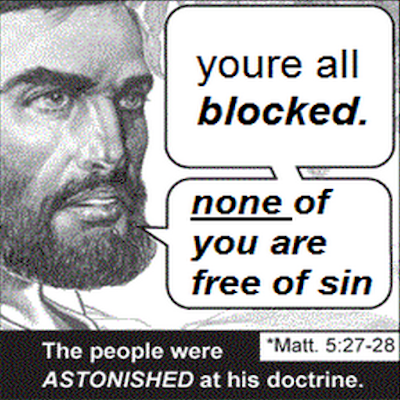 Use @dril’s Tweets as replacement text for the inanity of long-time conservative religious cartoonist Jack Chick‘s world. It’s not blasphemy—but it sure feels like it!! RESULT: I’m hooting and screaming and whipping my pants around my head (helicopter-fashion, not flog-style).